The HARP 2 refinance program keeps chugging along. As home values rise nationwide, the HARP refinance program’s importance in the broader housing has diminished. However, for the millions of U.S. households, which have used it, the program remains hugely important. Via HARP, homeowner can refinance a primary, vacation, and rental homes, which gave, lost value since the date of purchase without be required to pay mortgage insurance. At current mortgage rates, the typical HARP homeowner saves more than 35% via a refinance and since its inception last decade, the HARP refinance has been used close to 3.37 million times nationwide. The Home Affordable Refinance Program (HARP) is a government refinance program meant to help homeowners whose homes have lost value since purchase. 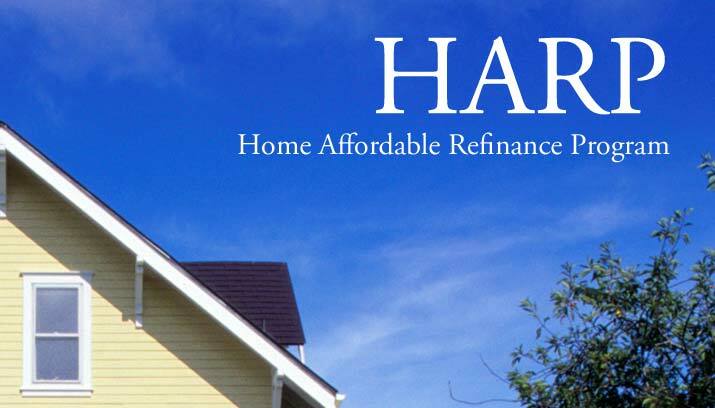 HARP was initially launched in 2009 as part of the Making Home Affordable initiative, a program which also launched the Home Affordable Modification Program, better known as HAMP. The primary difference between the HARP and HAMP programs is that the Home Affordable Refinance Program is meant for homeowners who are current on their respective mortgages (i.e. not late on payments). By contrast, HAMP is for homeowners facing foreclosure, or who are otherwise delinquent on their home loan. In addition, your mortgage payment history must be perfect for the last 6 months with no more than one late payment in the last 12 months; and your current loan-to-value (LTV) must be greater than 80%. You can calculate your loan-to-value ratio by dividing the amount you owe on your home into its value. For example, a home would have an LTV of 90% if it were worth $300,000 with $270,000 owed on it. HARP-eligible borrowers get access to the same low interest rates as everyone else — there’s no “penalty” for using HARP. When the Home Affordable Refinance Program was first launched in 2009, it was built to reach more than 7 million U.S. households. However, shortly after its launch, it was clear that HARP would fall short of its goal. Homeowners were still feeling the sting of last decade’s housing market downturn, and banks were still overly tight on what they’d lend and to whom. So, to help HARP reach more households, in late-2011, the government re-wrote the HARP program and re-tooled it completely. The changes were centered on two main ideas. First, the government wanted to make HARP more compelling to lenders so that the banks would make more loans; and, second, the government wanted lower HARP qualification standards so more U.S. homeowners could qualify. To appease the banks, in HARP’s second iteration, the government made cross servicing refinances simpler. A homeowner with a Bank of America loan could now do a HARP refinance with Wells Fargo; or, a homeowner with a Chase Mortgage loan could now do a HARP refinance with Fifth Third. Changing banks via HARP wasn’t possible in the program’s initial iteration. The second change in the Home Affordable Refinance Program was meant to help homeowners. Under HARP 2.0, the loan-to-value limit of the initial HARP program was removed. Homeowners were no longer capped at 125% LTV. LTV under the HARP program was now unlimited, helping homeowners in hard-hit cities to refinance who previously could not. Today, the government notes that more than 600,000 U.S. households remain HARP-eligible. The government has identified each, and is trying to make contact. HARP is not a scam. If the government contacts you about refinancing your loan, it’s best to take a listen. Even after 7 years, U.S. households are still saving money via the program. When HARP 2.0 was introduced, homeowners rushed to refinance, especially those with a loan-to-value exceeding 125%. In the first month of HARP 2, loans over 125 percent LTV accounted for more than 40% of HARP loans closed. This proved to be a peak and an anomaly; the result of pent-up demand. Today, the percentage of HARP households over 125% LTV are, once again, rising. In October, the number of high-LTV Home Affordable Refinance Program loans reached its highest point in seven months as a percentage of all HARP loans closed. This suggests that fewer homeowners are using HARP to refinance on the lower end of the loan-to-value scale; and that severely underwater homeowners are still able to get access to today’s low rates. With home values up more than thirty percent nationally since 2012, the pool of U.S. homeowners eligible to use HARP to refinance is shrinking. Yet, hundreds of households are remain “in the money” to use the program. Maybe you are on of them. The HARP Refinance program expires at the end of 2016. Check your eligibility today.